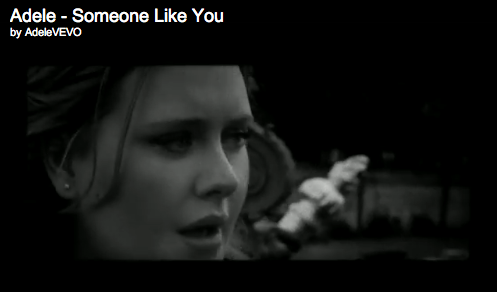 Adele released a music video for the song "Someone Like You". It's her voice... she's amazing... I'd love to see her live. And I'm always a fan of videos possessing continuity shots.